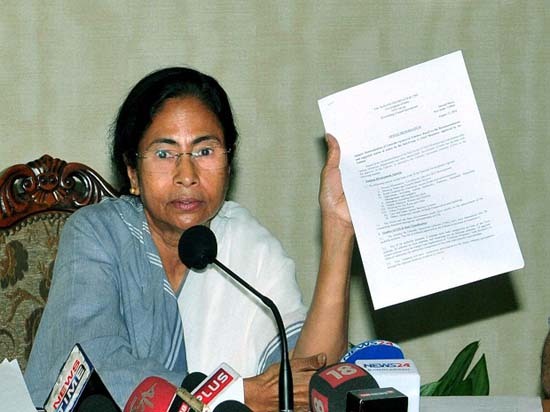 The Mamata Banerjee government is planning to hold elections to the two-tier rural bodies and the four municipalities in the Darjeeling hills in February next year, four months before the Gorkhaland Territorial Administration polls are scheduled to be held. Sources said the plan was aimed at challenging the Gorkha Janmukti Morcha's hegemony in the GTA now that the Trinamul Congress has gained a toehold in the hills. The last time rural elections were held in the hills was in 2000. "Elections to gram panchayats and panchayat samities and the four civic bodies in Darjeeling, Kalimpong, Kurseong and Mirik could be held in February next year. The state government has started the ground work," a senior state government official said. Nabanna sources said the chief minister wanted the rural and civic polls to be held before the GTA elections as Trinamul wanted to put up candidates in all seats. Trinamul had not contested in the first GTA elections, in 2012. "This will help the ruling party in the GTA elections. If the ruling party wins some of the seats in the rural and civic elections, it will help Trinamul gain more ground in the region before the GTA polls," a source said. The Trinamul sources said Mamata was confident of winning some seats in the two-tier rural polls and the four municipalities if the elections were held within a few months. "We have gained some foothold in the hills and that was evident when thousands of people came out of their homes to foil the Morcha strike on September 28. It is clear that we can put up a fight against the Morcha in the GTA polls if we have some elected members in the panchayat samitis, gram panchayats and municipalities," said a minister. The Morcha's vote share came down by 68.5 per cent in the Assembly elections this year over the 2011 figures. Trinamul had not contested the three hill seats of Darjeeling, Kalimpong and Kurseong in 2011. The Morcha won all three despite the reduced vote share. "This is the ideal time to take on the Morcha in the GTA. The Darjeeling hills is the only region where Trinamul has not won an election and the chief minister does not want to let go of a chance," a source said. The state government is aware that the plan could be jeopardised if the GTA moves court demanding a three-tier panchayat system in the hills, which was mentioned in the agreement to create the territorial administration. The government has submitted to Calcutta High Court its proposal to create the Kalimpong district. The approval of the Calcutta High Court is required before a new district starts functioning and the process of setting up Kalimpong district has been put on fast forward mode. "The required inspection from the high court has already been done. We are expecting a positive response before February," said a senior official. municipalities in the Darjeeling hills in February next year, four months before the Gorkhaland Territorial Administration polls are scheduled to be held.